Original Packable Backpack is rated 4.1 out of 5 by 10. 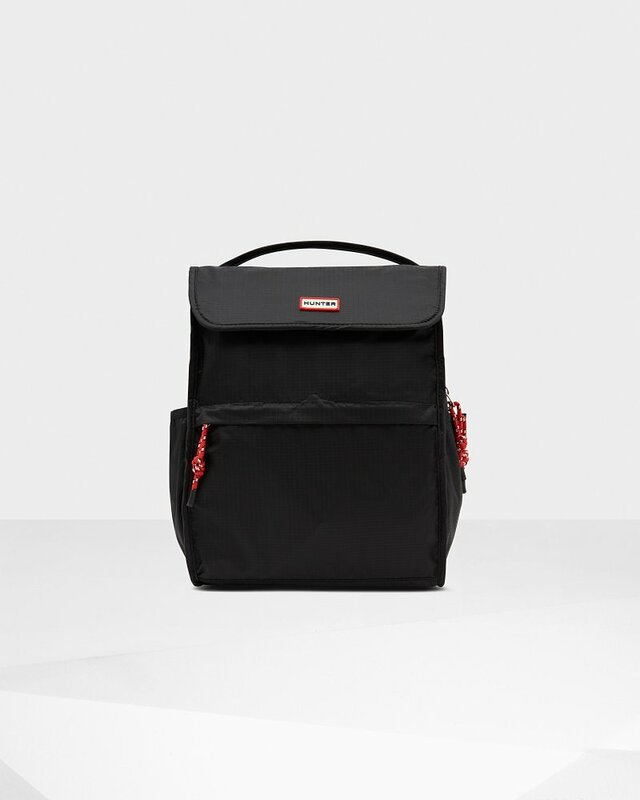 Rated 2 out of 5 by Willa from Poor material Honestly I thought Hunter products are all great but not for this backpack, poor material but I like how small it is. Rated 3 out of 5 by Anonymous from kind of flimsy, not worth price but did it's job bought this to take to disney world as a park bag. It is actually the perfect size in my opinion, i'm just slightly disappointed in the material. It is just okay on that front. The pictures are a little misleading. I don't think it is worth the price. It didn't take up much space at all, which was my intention, BUT I can't figure out how to repack it- the return trip i had to just lay it flat in my suitcase, rather than being able to fold it up. DIdn't come with any illustration or directions on how to fold it back up. Rated 5 out of 5 by Courtney from I love the small compact size of this book bag. I can fit my phone, keys, wallet, a pack of wipes and a few other things in it for our summer field trips. Rated 5 out of 5 by Bruce from An awesome backpack that is stylish, functional and Practical!! !